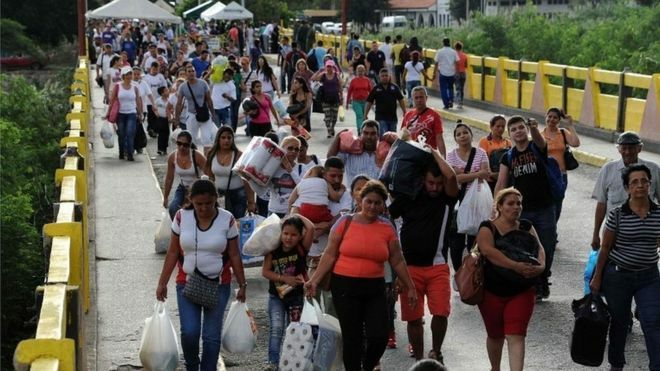 Ecuador has now opened a “humanitarian corridor” that allows the mass movement of migrants fleeing Venezuela’s economy colapse, allowing the wave of migrants to flow towards the Peruvian border. There are numerous bus loads and streams of people to Peru. rushing to beat Lima ‘s new restrictions on entry to come into effect. Venezuelans are desperate to survive and take advantage of employment opportunities in Peru, Chile and other countries. Peru is seen as a success by the migrants as it is one of the region’s fastest growing economies in 2018. Once Peru’s new passport rules kick in, thousands of Venezuelans will be left stuck in Ecuador and Colombia, places already overwhelmed with the mass migration of fleeing Venezuelan Migrants. 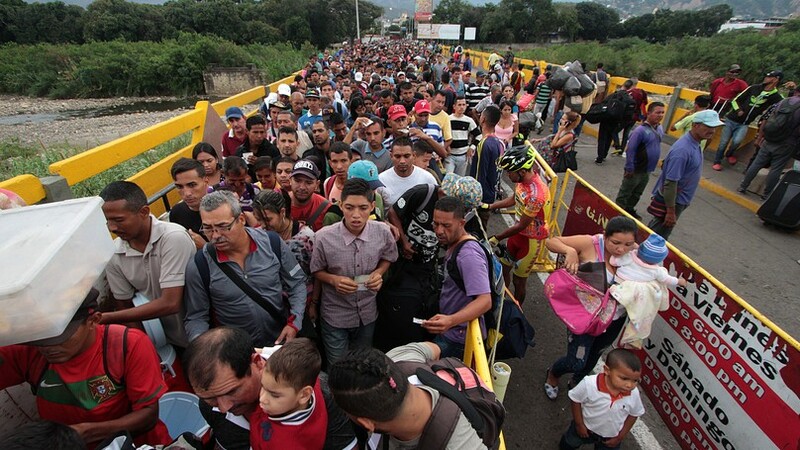 The economic crisis according to UN has resulted in over 2.3 million (7.5%) of Venezuela’s 30.6 million population fleeing Venezuela since the current economic crisis under Nicolas Maduro began in 2014 . 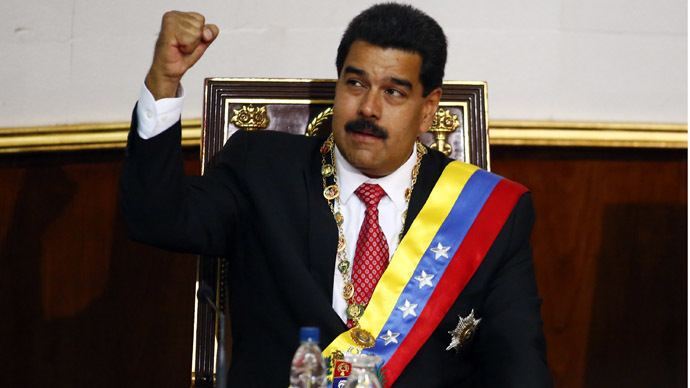 On 20 August 2018 Venezuela Monetary reform resulted in the government removing five zeros from its currency and the minimum wage being raised by 3000% , along with renaming it currency as sovereign bolivars. Venezuela has the largest oil reserves in the world and several years ago when the reserves were discovered, Venezuela left agriculture and production in the rush for oil and since then there was very limited if any, development or diversity in agriculture and production areas because of bad economic policies and so, the fall in global oil prices has crushed the returns from the massive oil reserves. In a desperate attempt by the Venezuelan government led by Nicolas Maduro , is working at reigning in the out of control inflation and tackle its economic crisis. The government has with effect from today, Mondy 20/8/18 introduced, the new ‘sovereign bolivar’ into circulation , declared today, a national holiday so that Venezuelans adapt to the new banknotes. ZIMBABWE CONSTITUTIONAL COURT JUDGEMENT, simply proves that Emmerson Mnangagwa, Zanu pf stalwarts, securocrats and military regime of oppressors remain empowered while the opressed ordinary people of Zimbabwe remain disempowered psychologically.